Thanks to our tongue and groove system, Glice® synthetic ice rinks are quickly set up and dismantled, which makes them perfect for rentals too! The video shows a recent installation at the famous Big Buddha (Tian Tan), one of Hong Kong’s most important attractions. 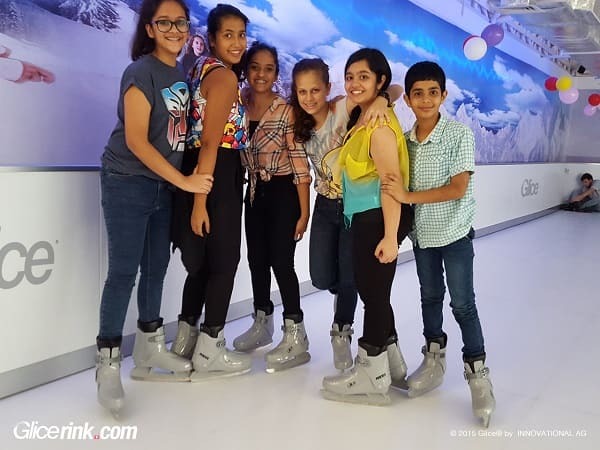 Can you imagine an ice rink in the African desert, amid lush rainforest in the tropics or in an Indian metropolis like Kolkata? Admittedly, the idea challenges one’s imagination; after all, ice skating had been limited to the winter season and mostly the Northern hemisphere for the longest time. Until now. Within merely 5 years, Glice® synthetic ice rinks have become a total game changer that revolutionized the very idea of ice sports and redrew the boundaries of who can ice skate, when and where. The tremendous success of Glice® synthetic ice rinks has always been driven by a big vision: not only does ice skating become an Eco-friendly sport and pastime by taking water and energy out of the icy equation, but it also becomes accessible to people all around the world; people, who had never seen a pair of skates before. No matter the season, region or climate zone, Glice® synthetic ice makes skating dreams an ice-solid reality.